Schiphol Real Estate wrote a master plan for the redevelopment of business park Schiphol-Oost containing guidelines for the construction of offices and a new terminal for small aviation. They asked us to design a new headquarters for Transavia and Martinair located at the corner of the business park. The building had communicate and interact with the environment. In addition, the client wanted a building that meets high sustainability standards. 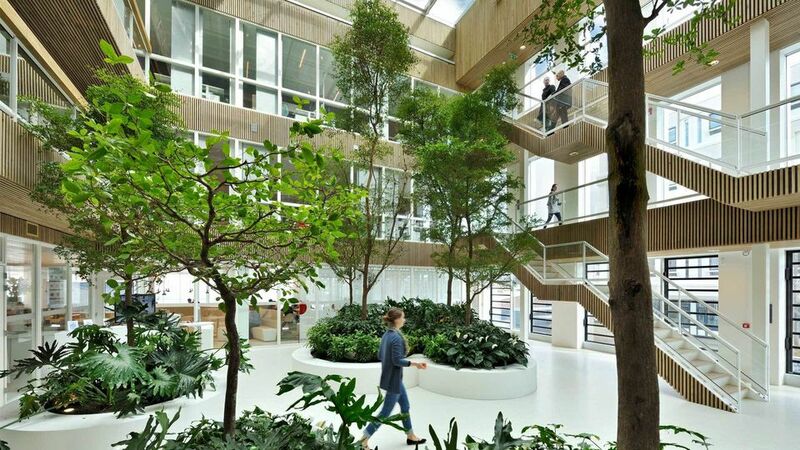 TransPort has become the first building in the Netherlands with a LEED Platinum certification, the highest international certification for sustainability. We came up with a building shape that responds to the built environment. We referred to the location at the corner of the business park by giving the design a smooth curve. On the north side the building provides a view over Schiphol-East and the runways, and the south side gives you a panorama over the Amsterdam Forest. For the south façade, which gets exposed to a lot of sunlight, we created innovative blinds following the curved design. These blinds allow lots of natural daylight, while at the same time preventing the building from heating. The result is a healthy workplace where staff members can work productively. 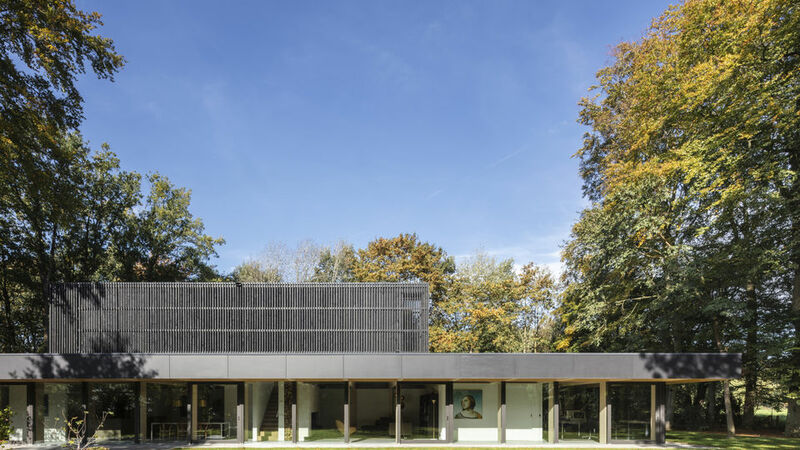 The positioning of the building made it possible to create an extremely transparent north façade and contributes to a considerable energy reduction that would normally be required for cooling. In the parking lot we planted trees which grow through the ceiling to the courtyard. We installed over 800 m2 of solar cells on the roof and created a natural water buffer in the form of a grass sedum roof. With a gray water system used for the sanitary 40% on water consumption can be saved.